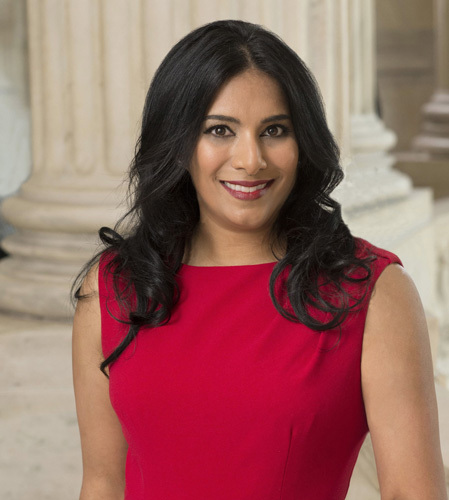 Alka Dhillon is the founder and Chief Executive Officer (CEO) of TechnaLink, Inc., one of the leading technology companies in the Washington Metropolitan area. She is a Conscious Leadership Expert and an International Speaker. In addition to her responsibilities as CEO of TechnaLink, Ms. Dhillon uses her passion for technology as platform to give back. She is a keynote speaker to various organizations and corporations globally at their conferences on Entrepreneurship, Leadership, and STEM. Ms. Dhillon is actively involved in the Network for Teaching Entrepreneurship (NFTE) and serves as a board member. 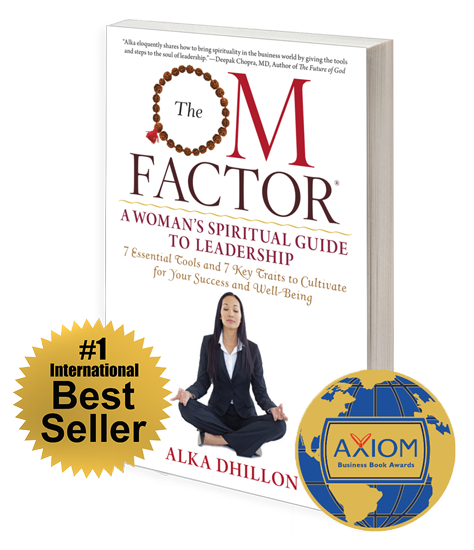 Ms. Dhillon’s book, The OM Factor, has received the Bronze Medal from Axiom Business Book Awards as one of the Best Business Books of 2016 in North America. She holds B.A. degrees in Economics and Spanish from the University of Virginia. She contributes to The Huffington Post, Today.com and NBC Universal, and she blogs and offers OM Factor related merchandise and advice at AlkaDhillon.com. All that is evolving hinges on innovation and creativity. Change is inevitable, but how we evolve is completely up to us. We can choose to evolve from a fear-based mindset, trying to compete and keep up with our global competitors, or we can take a more conscious and unique approach and exercise our creative muscles. This latter method of evolution is where true innovation is birthed. Here, there is no comparing or contrasting and taking old ideas that once served us and simply rehashing them to come up with version 5.12. This method cleans the slate and allows us to go within and tap into the field of infinite possibilities. Technology and creativity make for a powerful team. Technology is what takes these ideas and truly brings change on a global scale. When we use technology as a tool to advance innovation, the sky is the limit to what we are able to achieve and the speed with which we achieve it. I believe that by focusing on STEM (Science, Technology, Engineering and Math), especially through women and our upcoming generations, we will truly Seize The Evolutionary Moment. TechnaLink is committed to being a part of this evolutionary process and contributing mindfully to it. Ms. Dhillon has been honored with numerous awards not only for her professional achievements but also for her commitment to serving her community. Ms. Dhillon is the author of the book The OM Factor: A Woman’s Spiritual Guide to Leadership: 7 Essential Tools and 7 Key Traits to Cultivate for Your Success and Well-Being. This international bestseller provides essential tools to deal with stressful situations in the workplace and provides a guide for cultivating key traits that limit those scenarios from arising so often. The OM Factor has received the Bronze Medal from Axiom Business Book Awards as one of the Best Business Books of 2016 in North America.